Whether you’re planning a casual couple’s weekend or a family reunion, we’ve got the perfect place for you. We work hard to create a fun and relaxing atmosphere for all our guest. 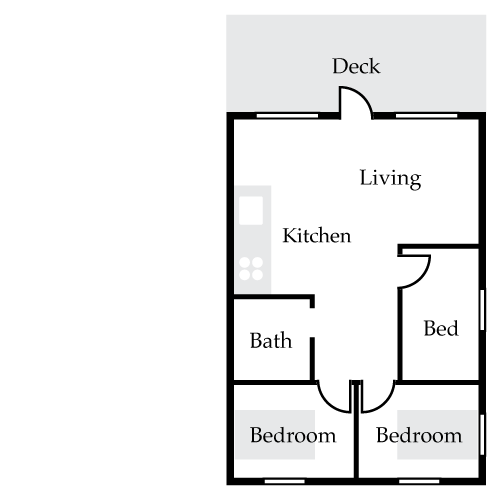 Each unit comes with a full kitchen and bath, television and bedding. We ask that guest bring their own towels and toiletries. Individual cottages with 3 small bedrooms, fully-equipped kitchen, private deck and courtyard. Apartment-style 2-bedroom units in the lower level of the “sixplex”, overlooking the boat/swim docks, 32 feet from the water, all with individual screened porches. 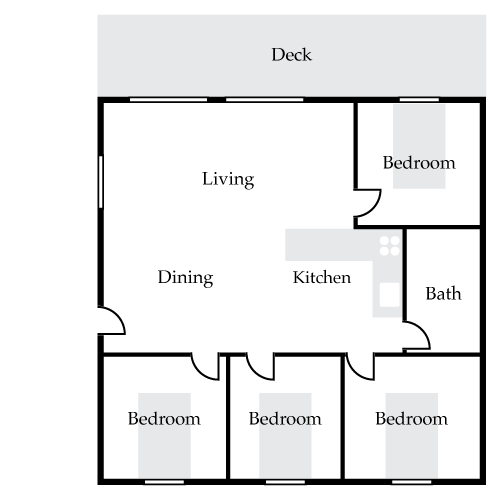 Apartment-style 3-bedroom units in the upper level of the “sixplex”, overlooking the boat/swim docks, 32 feet from the water, sharing a common screened-in balcony. Apartment style units, in a duplex that overlooks the beach, small 3-bedroom units, each with two queen size and one full-size bed. Bathroom has shower, no tub. Three steps up to the bedrooms. Spacious 3-bed and 4-bed apartment-style units in the building that overlooks the launch ramp, 165 feet from the water, sharing a common covered balcony with a panoramic lake view. Call us old fashion but we like to get to know our guests before they book. Every guest is different and to make your stay with us truly special we want to hear your plans, your needs and explain what you can expect during your visit. Please note that if you cancel your reservation 24 hours in advance, you will only pay your deposit. If you do not provide 24-hours notice, you will be charged the full rental amount for the nights you have reserved. Thank you for your understanding.